What’s the best way parents interact with their children when viewing art? In the second and final article in her series, Diane Bourke says it’s about good questions and careful listening. Recently I wrote about exploring art galleries with children. 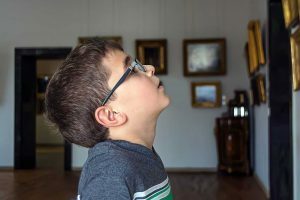 In this second article, I’m exploring how parents might interact with their children when viewing art. School holidays are fast approaching. Why not plan a visit soon? This time, four teachers from schools across Melbourne join me to share our collective thinking. They were at Independent Schools Victoria recently, taking part in a pilot program funded by the Victorian Government, where teachers from the government education sector are involved in training in the Feuerstein thinking program. Independent schools have been involved in the program since 2012, and ISV is the authorised Feuerstein Training Centre. I thank the teachers for their input and list their names below. All children need to learn how to think and become self-directed, life-long learners – essential components of the school curriculum. Parents can play an enormous part in helping this happen just by asking good questions and listening carefully to the answers. A plea from us, however, is to give your child time to think – several seconds if needed. Patience on your part allows their brain time to formulate answers. What is thinking? Think of someone you consider a good thinker. What do they do that makes you believe this? Perhaps ask your child these questions and see what they have to say? Their answers might give you ‘food for thought’. The Feuerstein program was created by Professor Reuven Feuerstein, an Israeli clinical, developmental, and cognitive psychologist. His theory of intelligence states, ‘[intelligence] is not fixed but modifiable’. Yes, we can all become ‘smarter’. 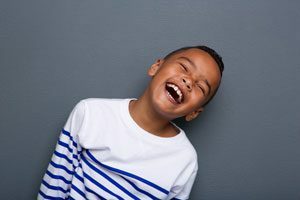 The professor identified 28 cognitive functions, which, when taught intentionally, provide every thinking skill a child requires to become an ever increasing, intelligent, lifelong learner. Looking at a piece of art with your child, making thoughtful comments and asking appropriate questions is one way to develop and grow these functions. You do not have to visit an art gallery to develop these thinking skills, though it adds a broader dimension if you do. On this occasion, our team looked at a digital copy of a ceramic figure from the Metropolitan Museum of Art in New York. You can visit the site and download an enormous array of art to share with your children. As an aside, these same comments and question types can be used whenever you and your child are at home, or out and about discovering the world. The beauty of Professor Feuerstein’s work is that he divided these cognitive functions into three phases: the Input Phase, the Elaboration Phase, and the Output Phase. Cognitive functions are acquired over time. 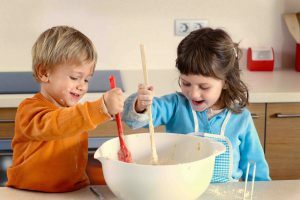 They are not the product of the natural maturation of the brain but result from sufficient and adequate guided learning experiences that can be provided by you at any time. Be mindful, though, that while you intend to share a piece of art with your child, you require them to reciprocate, be curious and find meaning in the art work. Think carefully about how you can you draw them in. You really can, it is not as difficult as it might sound, and please, no bribing. Share the ceramic figure above and ask some of the following questions. Be prepared to follow your child’s lead as you listen closely to what they have to say. The questions are not a recipe to follow but suggestions for a thoughtful interaction. What can you see? Where do you have to look? Focus on the face, then on the body, then the feet. You might have to teach the word ‘focus’ if it is not known. Do not be afraid of ‘big’ words. Children love them. Can you scan in a reading direction? Help your child label parts of the figure, build your child’s vocabulary. What could the figure be holding? Is it in its left or right hand? A discussion could arise about left and right here and from whose left and right. Are the patterns on the skirt and the hat similar or different? When do you think this figure was made? Could the figure represent a certain time of the year? How do you think the figure is feeling? Look at the face and look at the posture. What might be about to happen? Show me. What is challenging your thinking? What is relevant? This is a big word but an important one. Let’s focus on clues. Who could this be? Why was it made? What is it doing? Have you ever seen anything like this before? What information do we need to solve the problem? Oh my, are those lines on its body? Could they be cracks? We may have cracks in our lives. How do these experiences make us feel? What could the figure represent? Does this make sense? Have you seen something like this before? If the figure could talk, what might it say? Could the figure be laughing? What would happen next if the figure came alive? What do we celebrate? Are celebrations important? Do you have a special piece of clothing? Let’s shut our eyes and see if we can visualise the figure. How do you know whether your thoughts are correct? Does this matter? The key here is that the child has thought through and can justify their argument. When the final answer is revealed from looking at the MET website, celebrate the thinking that has occurred. These are the processes of sharing or expressing our solutions to a problem in a precise, logical and thoughtful manner. Let’s take our time to think about all we have seen, think about what you would like to say. Remember to think carefully before speaking. We are not in a hurry. What do you think Grannie would say about this? Can you describe the figure to someone else if I hide it? If there’s time, your child could ask someone else about the figure then articulate what was the same, what was different. Did this make them change their minds? How did it feel to take your time to look accurately and precisely at the Smiling Figure? What might you have missed if you had rushed? Are you proud that you took time to think deeply? How does that make you feel? Will you do the same next time? As you and your child ponder these questions and answers, it is important to help them generalise their learning and see where else in life they can enhance their insight. For instance, where else at (home/school/sport) is it important to look accurately and precisely? Maybe shooting for goal, or collecting ingredients to bake muffins. Think of results elsewhere where disaster could occur if this cognitive function was not in place. How do you want your surgeon to act? Independent Schools Victoria would love to hear your responses after trying this activity, so please email me. If you want to know more, we hold Feuerstein Instrumental programs for parents throughout the year and would be happy to welcome you into our courses. 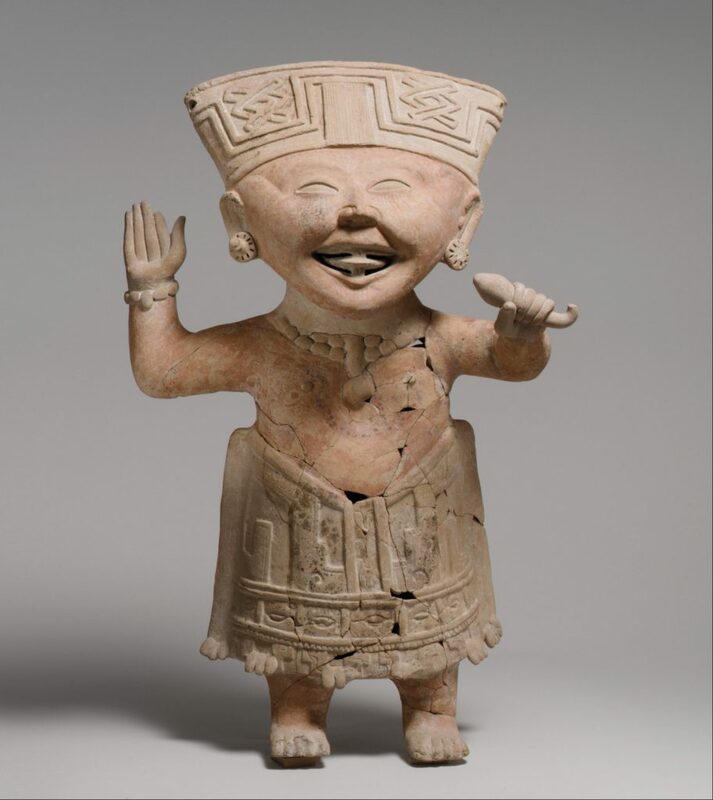 More information about the Smiling Figure 7th– 8th Century from Mexico can be found on The Met website. The ceramic figure can be found in Gallery 358. He is raising his right hand in greeting and carries a rattle in his left. Thanks to Ellen Graham (Berwick Chase Primary School), Abigail Ho (Debney Meadows Primary School), Simone Randle (Harkaway Primary School), Keith McNeill (Princes Hill Primary School). Diane Bourke is a Project Manager for Independent Schools Victoria. She was Head of Junior School, Campbell House, at The Geelong College for 16 years, and Head of Junior School, Morris Hall, Melbourne Girls Grammar for 15 years.